Devastating flooding in Eastern North Carolina from 2016’s Hurricane Matthew destroyed the fire station owned and operated by the Fair Bluff Fire Department and Rescue Squad, serving the Fair Bluff community and surrounding areas of Columbus County. Adding to the town’s loss, leaders realized that FEMA funding and insurance proceeds were not sufficient to fully replace the station located in a flood zone. 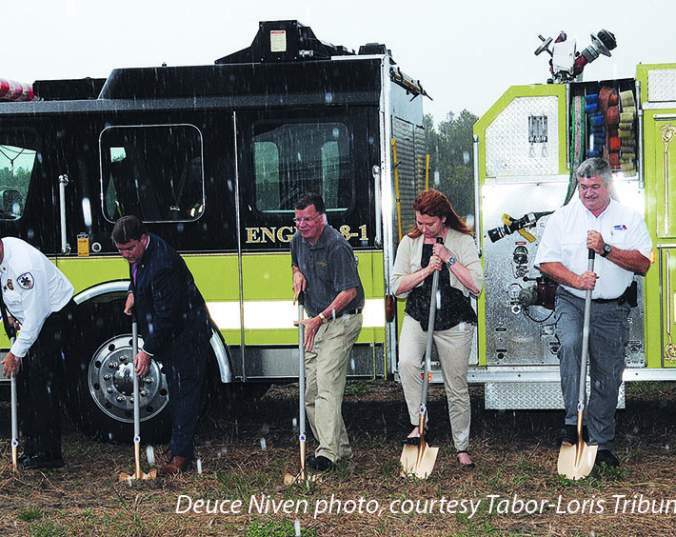 Golden LEAF, tasked by the North Carolina General Assembly to distribute the state’s designated 2016 and 2017 $55 million in hurricane and disaster recovery funds, granted the community $500,000 to fill the gap in funding by supporting the design, engineering, and construction of a new station on donated land located outside of the floodplain. This grant money quickly provided much-needed long term security and public safety to a community that experienced multiple urgent needs to rebuild after the flooding – all at once.